Why did the first civilizations emerge when and where they did? How did Islam become a unifying force in the world of its birth? What enabled the West to project its goods and power around the world from the fifteenth century on? Why was agriculture invented seven times and the steam engine just once? World-historical questions such as these, the subjects of major works by Jared Diamond, David Landes, and others, are now of great moment as global frictions increase. 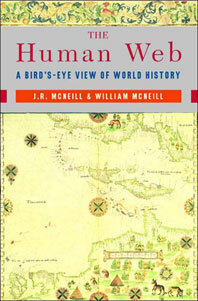 In a spirited and original contribution to this quickening discussion, two renowned historians, father and son, explore the webs that have drawn humans together in patterns of interaction and exchange, cooperation and competition, since earliest times. Whether small or large, loose or dense, these webs have provided the medium for the movement of ideas, goods, power, and money within and across cultures, societies, and nations. From the thin, localized webs that characterized agricultural communities twelve thousand years ago, through the denser, more interactive metropolitan webs that surrounded ancient Sumer, Athens, and Timbuktu, to the electrified global web that today envelops virtually the entire world in a maelstrom of cooperation and competition, J. R. McNeill and William H. McNeill show human webs to be a key component of world history and a revealing framework of analysis. 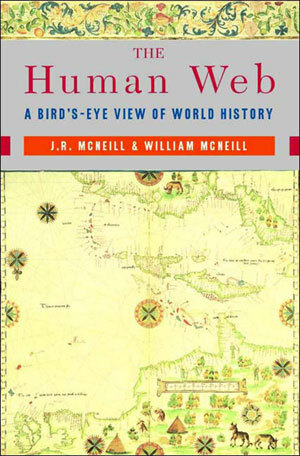 Avoiding any determinism, environmental or cultural, the McNeills give us a synthesizing picture of the big patterns of world history in a rich, open-ended, concise account.